FootballCoin is a fantasy football game using collectible cards. The game is proud to feature its very own fantasy Premier League among its fantasy contests. The reputation enjoyed by the Premier League makes at obvious choice for inclusion. FootballCoin prides itself on featuring the best football leagues across the world. EPL’s popularity among fantasy enthusiasts is due to the talent found here. Some of the world’s best football talent is currently registered with British clubs. Today, Fantasy contests that include EPL matches are some of the most popular across the FootballCoin website. You too can register your own fantasy football team on the FootballCoin website for free. It’s the place where the best virtual managers are always rewarded. How famous is the EPL across the world? In 2019, the Premier League was, once again, the most popular sports league on the world. Estimates suggest a potential TV viewership of 4.7 billion people, in over 643 million homes. Interest in the Premier League makes it responsible for generating the highest wealth. It’s why the EPL teams can negotiate some of the biggest TV deals of any sporting event. Premier League football unites people. This makes it a perfect fit for fantasy football and for FootballCoin. The Premier League in its current format began in 1992. Its name at the time was the Football League First Division. The EPL began as a result of the top flight teams’ fantasy of taking advantage of improved TV deals. To do this the clubs exited the Football League and created their own competition. They could now negotiate improved conditions. It was the first major change to the system in 104 years. In its first season, the competition included 22 teams. It later changed to the current format of 20 participant clubs. The Premier League is not only an English competition. Since its start, it has featured two Welsh clubs. Another 47 English teams that have also taken part in the competition. Manchester United has been the most successful club during the modern EPL era. Alan Shearer currently holds the record for scoring the highest number of goals. The innovative system employed by the Premier League has had a massive impact on the world of sports. The format has served as an inspiration for countless other sporting leagues. The popularity of the EPL has coincided with the rise of fantasy football culture in Britain. EPL Fantasy football league enthusiasts create an ever-growing community. And FootballCoin aims to create a product tailored to their needs. Furthermore, FootballCoin aims to include cryptocurrency into the world of fantasy sports. You too can be part of the FootballCoin community. Join the game! It’s free and only a click away. The Fantasy Premier League was first introduced during 2002/03 season. It was the Barclays league’s licensed fantasy competition. No doubt, its success looked all but guaranteed. Fantasy sports in Britain already had more than a decade of attracting the interest of fans. Yet, the first European fantasy football league started in 1990 in Italy. Riccardo Albini was the man behind its system. Albini had dreamed up the concept upon one of his many trips to the United States of America. It was there that he first saw fantasy competitions. It included sports such as golf and basketball. Albini had dreamed up the game system back in 1988. In the beginning, he used it as a way to entertain his friends. But, later, he published the first set of rules in 1990 as Fantacalcio. The game would grow to nationwide popularity in the coming years. Its breakthrough came with the publication in the magazine Gazetta dello Sport. It continues to enjoy mass acceptance under the same name, Fantacalcio. Likely inspired by Fantacalcio, Andrew Wainstein created his version of fantasy football. It was 1991 and he branded it the Fantasy League. In many ways, Wainstein’s concept serves as the blueprint for the Fantasy Premier League. The FPL enjoys millions of fans worldwide. Its predecessor had more humble beginnings. Andrew Wainstein confesses that he first ran Fantasy League from his own bedroom. Making sure the game functioned required a great deal of micromanagement. These were the days before the internet’s widespread use. Wainstein needed to notate all the team changes himself. The changes would be communicated by phone, on Friday afternoon. By Sunday, the young entrepreneur had to have all the results tallied up. He would then mail the results. The members of his small fantasy football manager community were waiting. Indeed, it was a tiny community, to begin with. The competition included 70 leagues in its first season. But, the Fantasy League received a massive boost in popularity in 1996. BBC’s Radio 5 offered the fantasy competition a segment on its Sunday morning program. Almost overnight, the Fantasy League went to having 3000 individual leagues. Britain was beginning to embrace fantasy football. A television show, with the same theme, followed. The concept of fantasy sports became a cultural cornerstone of 1990’s British culture. The fantasy system created by Wainstein was now adapted and replicated by others. In the mid-1990s a copious amount magazines and newspapers copied the idea. These publications included their own version of the Fantasy League. It featured its own system. And, once more, readers were required to send in their forms. It was something the papers had every right to do. After all, Wainstein had himself adapted a previously used system. By the 2002/03 season, the Premier League was ready to set up its own, official version. This became the Barclays Fantasy Premier League. The mail-in forms were long gone by this time. In their place, the FPL set up a website where contestants could choose their fantasy draft. The site included stats and fixtures. Since then, the fantasy football league culture in Britain has continued to grow at a steady pace. By 2019, Fantasy Premier League could boast having more than 5 million registered users. The number of EPL fantasy sports enthusiasts worldwide is larger than 60 million. FootballCoin is a fantasy football game that uses its own scoring system. The game is notable for using XFC, a digital asset acting as in-game currency. The XFC cryptocurrency is used for various actions. Users can register for paid contests, can purchase player or stadium cards etc. But, it’s well worth noting that the majority of cards and contests in FootballCoin are free. Thus, the vast majority of game assets may be used by all participants. FootballCoin looks to include only the best leagues of international football. The Premier League has been a priority since the game’s beginning. The popularity of the EPL, and its FPL counterpart have also been reflected here. The fantasy Premier League contests in FootballCoin tend to attract some of the highest numbers of participants. The system used in FootballCoin is not dissimilar to that used by other fantasy football games. Yet, it does feature some noteworthy changes. Virtual football managers choose their draft from the existing squads of the Premier League teams. The managers can choose the team’s formation and its starting line-up. But, unlike other games, they are also required to choose a reserve for each playing position. Additionally, they have to opt for an assistant manager. The fantasy football assistant manager is either a player aged at least 35, or a player no longer included in one of the leagues featured in the game. For example, a card issued for Wayne Rooney can play the role of an assistant manager. Before 2018, Rooney’s role was that of a regular member of the squad. After the striker’s departure to the MLS, he automatically became an assistant manager. This is because the MLS is not a league featured in FootballCoin. In the same way, Petr Cech can be an Assistant Manager since turning 35 back in 2018. Cech will continue to hold the same status even after his retirement. But, while Cech is playing, managers can opt between the roles of player and assistant. This fantasy assistant manager scores points depending on his game ranking. Points go towards the team’s final tally. All football players in FootballCoin receive a ranking, of 2* to 5*. The fantasy footballers rating is based on his actual performances. The rated takes into account individual and team honors. Players ranked 5* in the Premier League include Eden Hazard, Paul Pogba or Sergio Aguero. Previous 5* recipients have comprised of players like Wayne Rooney or Zlatan Ibrahimovic. Assembling the perfect team requires great knowledge of the Premier League squads. Good foresight is also needed. Most Premier League players’ rank will be that of 2*. They will be free to use by all fantasy football managers. They are usually free because of either their age or relative lack of experience in the EPL. It is also because aims to focus on a free option. Some players may are also undervalued for the same reasons. An example is that of Mohamed Salah. Arriving at Liverpool from AS Roma, Salah received a 3* ranking in FootballCoin in 2017. The managers that decided to take a chance on the inexpensive purchase were rewarded. A relative unknown at the start of the 2017/18 season, Salah finished as the league’s top goalscorer. He also managed to earn fantasy football managers a good deal of points. Acting as a fantasy Premier League scout is essential. This ensures positive results in FootballCoin contests.FootballCoin’s managers can take part in either private or public contests. The public contests are set up by FootballCoin itself. They are almost always free to join. Also, more often than not, they contain matches from a single league. The Premier League contests are among FootballCoin’s most popular choices. A regular Premiership fantasy football event will include the week’s 10 matches. On most cases, entry in the contest has to be made by early Saturday. The final results follow the end of the last match in the week, on Sunday or Monday evening. The public contests can be set up by any of the registered FootballCoin users. Those organizing the contest get to choose the entry fee for each participant. They are also able to pick the matches included the contest. Those that enter the contest will create their draft using the squads of the teams selected. Standard private contests will contain a maximum of 11 participants. These are contests created by those that do not own a FootballCoin stadium card. The contest’s organizer receives a share from the total prize pool. The managers that own a stadium card will be able to organize a contest for a higher number of participants. Depending on the card’s ranking in the game this can include 55, 100 or an unlimited number of managers. The Premier League’s most important stadiums all have a collectible FootballCoin card. The fantasy Premier League contests in FootballCoin can be played in a variety of ways. A registered user can take on the role of a manager. They can choose a quality line-up and guide their team towards victory. But, they may also act as a scout/agent, searching for underappreciated players. Users may back certain cards, by purchasing them at a low value and trying to sell them for a more expensive amount. They can also act as tournament organizers. In this way, they earn XFC for setting up and promoting contests. Managers are not restricted to a group of players when setting up their fantasy draft. Each new contest allows users the chance to set up an entirely new team. There is no limit to the number of changes they can make from one week to another. Also, they may use the players that they own, if the players’ teams feature in the contest. But, they are not obliged to do so. In this way, the FootballCoin game aims to reward those with the best knowledge from the world of football. Of course, the cards that a manager owns are theirs to use as they see fit. A card can feature in one single competition at a time. But, the card can be used throughout many seasons. The value of the card never completely fades. It can always serve in the role of Assistant Manager. And as the competitivity between teams increases, the EPL fantasy football events become more interesting. Some times the battle for the Premier League title comes down to one team’s efficiency in a particular area of the pitch. Jurgen Klopp and Pep Guardiola have their work cut out for them in making the right choices. But, so do our fantasy football managers. The cards themselves represent another attractive feature of this fantasy football game. Paid cards represent a minority in FootballCoin. Yet, the real achievements of players determine their value. It’s why Lionel Messi, Cristiano Ronaldo or Neymar are among the most expensive cards. The Premier League transfer market is one of the most active in the world. Successful fantasy managers need to stay informed about the latest changes to squads. Many of the high-quality new additions to clubs have free player cards in FootballCoin. It’s true that collectible cards, like those of Harry Kane and Sergio Aguero, can add value over a period of time. But, in my instances, some of the best fantasy teams in the game have featured exclusively free cards. The FootballCoin website also looks to help users remain informed. Its articles serve as a type of fantasy football scout. Injuries and suspensions are highlighted in the gaming platform. Featured articles and social media feed include EPL fantasy tips. Just how much control does a manager have over his team? The virtual manager has complete authority, from the selection of the league, the draft, the formation, purchase, and sale of cards etc. Whereas rival fantasy football games have the manager rely on a roster of players for much of a campaign, FootballCoin offers a lot more options. In creating FootballCoin we aimed to ask ourselves what the EPL fantasy football community wants. To us, it was clear that they desired a type of game that would keep them engaged for the entirety of the season. 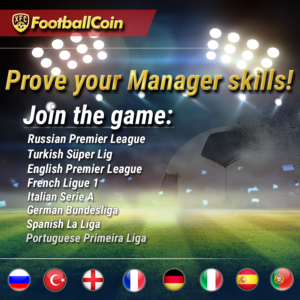 Also, since FootballCoin is a game of skill, we wanted to make sure to reward the very best managers. This is why the users that stay up to date with the latest development in international football, have a higher likelihood of winning the XFC prizes. These are some of the reasons why we invite all fantasy football enthusiasts to try the FootballCoin game. Registering for the game is free. So are the majority of the contests and the player cards. Each contest offers the managers from the upper part of the rankings the chance to earn XFC cryptocurrency. The XFC cryptocurrency is the digital asset created to function as the in-game currency. XFC has all the properties of the most popular cryptocurrency, Bitcoin. How does a player get to own the coin? 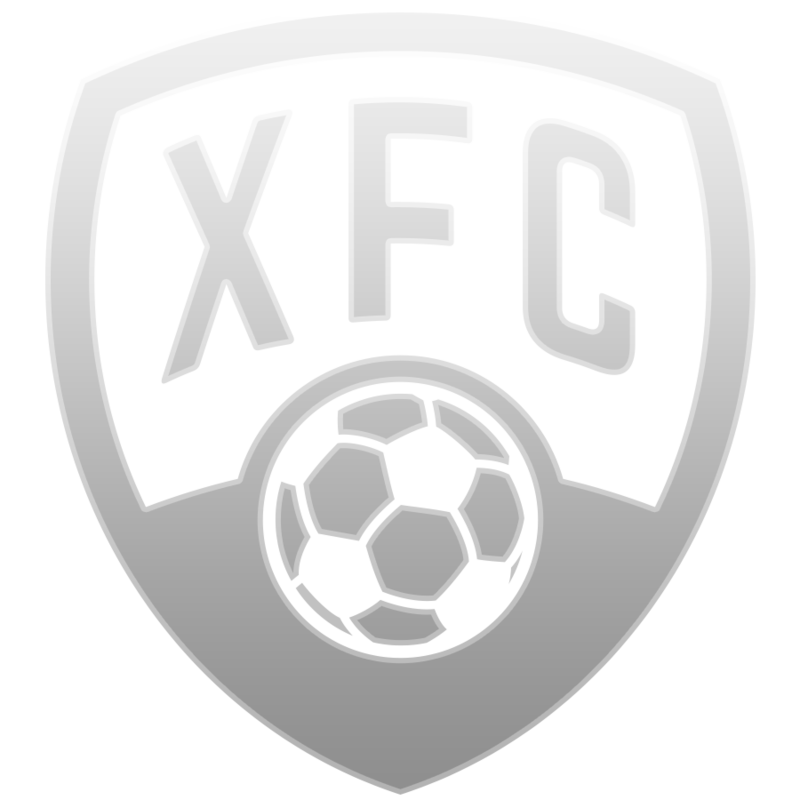 XFC can be won in any of the contests in FootballCoin. The contests contain matches from football’s top leagues, including the mighty Premier League. But, XFC can also be purchased from one of the multiple crypto exchange services that include it. They can then store the XFC in a secure wallet that they can download online. Users also have the option to store their XFC inside the game. Naturally, we recommend securing the game account with a strong password and 2FA Authentication. The player and stadium cards are digital assets. They can be purchased from the FootballCoin market. These digital assets can be stored in the FootballCoin game. Later, the developers will implement an option where the cards can be transferred towards the official wallet. The cards will show as active inside the game and they can be used for contests. Once the card is selected it will be frozen up for the duration of the contest. Upon its end, the cards will return to the participants’ account. The Premier League contests represent one of the cornerstones of the FootballCoin game. But, FootballCoin also prides itself on including all of the world’s most important football leagues. Currently, Serie A, La Liga, Bundesliga, Liga NOS, Ligue 1, Super Lig, Liga 1, all have their matches included in FootballCoin contests. Football managers can, therefore, choose to participate using the knowledge of the football culture they are most familiar with. The numerous British teams featured in the international competitions are twice represented. It is worth noting that FootballCoin also plays host to contests including matches from the Champions League and Europa League. Historically these competitions have featured British teams among its most successful clubs. Fans of the Premier League clubs can freely enter these competitions and include in their draft of players from the British clubs that they support. Their knowledge can serve to select a different team for each new contest. Are members of a team not providing the results you are looking for? Is the entire team not earning as many points as you hoped they would? 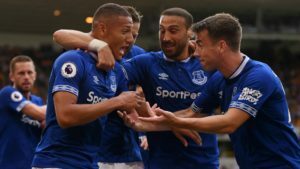 Would you rather switch Richarlison for Pierre-Emerick Aubameyang? Would like to try a 4-4-2 rather than a 4-3-3? In this EPL fantasy football game, all these changes can be made from one contest to the other. By experimenting with these changes, fantasy football managers will be able to develop and refine their strategies. By analyzing the FootballCoin scoring system, gamers can make sure that they always make the best choices. They will likely find themselves choosing players on the basis of the number of points they can earn them, rather than on their fan support. Another exciting option for users is the option they have to act as scouts and agents using the free market. For example, a user that has purchased a Harry Kane card at a good price, either from the house, or from another user, can attempt to sell the card for a profit. Just like the real transfer market, players’ performances influence their value. 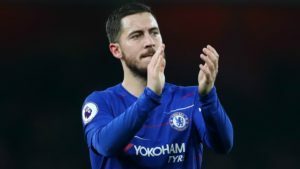 It is realistic to assume that a good season courtesy of Harry Kane or Mohamed Salah will only help increase the desirability for their cards. FootballCoin has also introduced the option to request a card. Let us assume that a manager wants to own a Roberto Firmino collectible card. Yet, the price for the card is currently higher than they are willing to pay. Then, the football manager can request a lower price. The bid can remain active until a current owner decides to sell for the bid price, or the request is canceled. Collectible cards serve more than a practical feature. Trading cards appeal to a shared desire to collect items representing something dear or important to the collector. The value is not merely in their practical use but in their emotional implication. Furthermore, trading cards tend to have a broad lifespan if there is a large and enthusiastic community of collectors. For example, owning a collectible Old Trafford card in FootballCoin can serve two roles. On the one hand, the owner can organize private tournaments and receive 5% of the prize pool for each contest. Since this stadium card has a 5* in-game rating, the good news is that the private contests can contain an unlimited amount of users. On the other hand, owning the Old Trafford collectible card would surely be a delight to any Manchester United fan. For football enthusiasts owning a card associated with your favorite team is, truly, owning a piece of that club’s prestigious history. You too can register your account and join the FootballCoin community. Create your perfect draft and prepare your private contest. Why not share your passion for EPL fantasy football with your friends? With FootballCoin this is no harder than a few clicks away. And, after the contest is over, share your results with others using social media channels. For those newer to the world of EPL fantasy sports, FootballCoin attempts to make the game as intuitive as possible. Player choices can be filtered based on the number of points they have earned in the last match, or over the entire season. The news pages also include fantasy football scout updates, as well reports of injuries and suspensions. Besides this, the game makes room for a section of detailed statistics that all of our users can access. We recommend considering the statistics when assembling your teams or creating your private contests. FootballCoin constantly strives to improve the game and its related applications. This was true in the very beginning and remains true today. With that in mind, the FootballCoin developers look to add exciting new features for the game. There will also be extensive work involved in attempting to improve the popularity of the game and its related products. One of the plans includes an enhanced fantasy football platform. The new game version will be better equipped for mobile devices and will further assist our fantasy football managers in making their choices. Another exciting development in the game will be the introduction of the lease option for cards. Managers will, essentially, be able to loan out a player card that they own. The manager will issue the offer and will be up to the market to find those interested in taking it up. The collectible card will then be ready to be used by the managers for a said period of time. In this way, fantasy football managers can improve their squads for a certain competition. They can also make sure they do not waste the value of a card, in case they do not plan on using it themselves. FootballCoin also works on a continuous basis to enhance the popularity of XFC coin. The cryptocurrency functions on its own blockchain. Its features make it a perfect choice for all crypto users. Therefore, its uses are both in the game, as well as in the general crypto economy. With time, more and more members of the fantasy football community are beginning to embrace FootballCoin. The FootballCoin team is happy with the progress it has made so far. But, it is one of the game’s missions to continuously attempt to improve. We welcome all fantasy football enthusiasts and encourage them to register their account and start creating their teams right away. FootballCoin’s fantasy Premier League contests will continue to represent one of the game’s priorities. Its exciting matches, endless host of star players and the league’s inherent dramatism, make it one of the most appealing leagues featured in this fantasy soccer game. Whether you are a casual observer or an obsessed football supporter, we recommend playing FootballCoin! Regardless of your experience with fantasy football, we suggest creating your free FootballCoin account! As a long or short term cryptocurrency investor, you can take part in the FootballCoin project! FootballCoin’s mission will remain the same: to create a longstanding project that will unify the world of fantasy sports with the cryptoworld.